Since the Velvet Revolution that toppled Czechoslovakia’s communist government in 1989, Prague’s centuries-old buildings, winding stone streets, and hilltop castle overlooking it all have made the city one of the most popular visitor destinations in Europe. Additionally, Prague has been a political, cultural, and economic centre of central Europe with waxing and waning fortunes during its 1,100-year existence. Situated in the north-west of the Czech Republic on the Vltava River, the city is home to about 1.26 million people. Prague’s north and western side is flanked by the curving Vltava River, which is spanned by a series of bridges. Many visitors to Prague choose to take a scenic walk through the historic Old Town area (Stare Mesto). Other areas in the city center worth seeing are Josefov district (former Jewish Ghetto), Letná Park, and the southerly New Town (Nové Mesto), which has a distinct medieval feel and includes structures such as the New Town Hall and various beautiful churches. 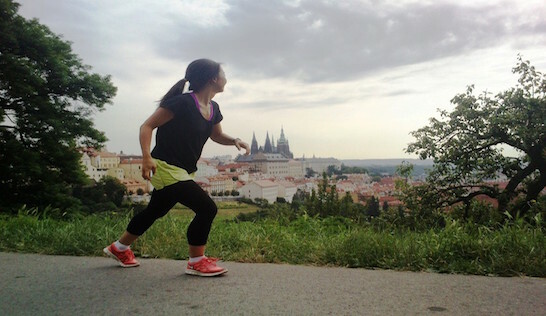 For us runners, Prague offers amazing opportunities to see the best sites while fitting in our exercise. There is lovely running around Prague’s historic sites (run early to avoid the crowds), along the river, and in the city’s wonderful parks. The hill up to Prague Castle is a particular treat. 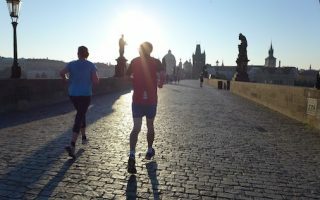 We would like to particularly thank Running Prague and Running Tours Prague for their help in suggesting routes and providing photos! Another unique feature of the Prague running scene is the Running Mall. Located between Letna and Stromovka parks, this is a center for Prague running: store, training center, lounge, run club, classes. The public transport infrastructure (PID, Pražská integrovaná doprava) consists of a heavily-used integrated transport system of Prague Metro (lines A, B, and C), Prague tram system, buses, funiculars (cable railway), and six ferries. This convenient, safe and reliable public transport system helps you get anywhere you need to go within the city, and makes getting places for running a breeze. We have centered most of our routes near public transport. A tour of some of Prague’s major sites and attractions, most of which are within two miles of Wenceslas Square. Just nearby is Old Town Square, the city’s historic center. 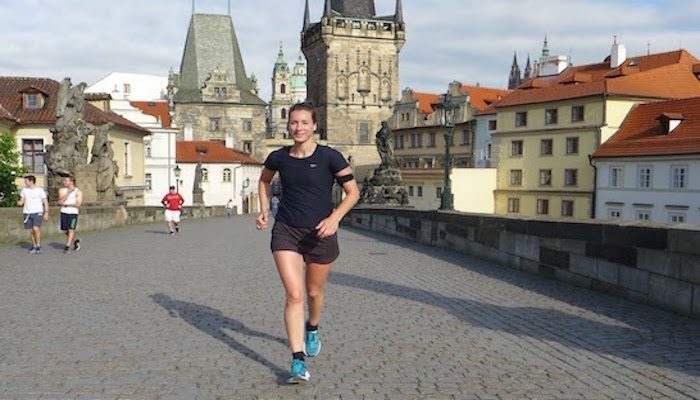 The longer loop adds nearly 3 miles with a jaunt up to the famous Prague Castle. This is a tour of the Prague Castle, Petrin Park, and Kampa Island, focused on the West side of the river. Many opportunities to extend the run in Petrin Park. Letná is an oasis of green in the city, offering stunning views from across the Vltava River. The park has lovely shaded, level paths, mature trees, and a colorful assortment of bushes. 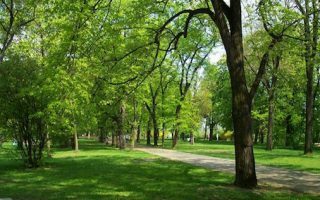 Stromovka is the largest park in the city and the most popular park in Prague for jogging. Enjoy the shaded paths as you wind your way along the numerous well maintained paths looping past the Marold panorama. This route moves away from the City Center to get a glimpse of everyday Czech life along with the Břevnov Monastery, and Star Game Reserve, a 210 acre forest park. and protected natural monument. This route is Prague’s classic river run. There are dirt paths along most of the Vltava River in the city center, following the Vltava river embankment passing Kampa Island, the Lennon Wall and Zofin Island. The city of Prague lies between oceanic climate and humid continental climate. The winters are relatively cold with average temperatures at around freezing and relatively little sunshine. Summers usually bring plenty of sunshine and an average high temperature of 75 °F (24 °C). Precipitation is rather low (just over 20 in [500 mm] per year) since it is located in the rain shadow of the Sudetes and other mountain ranges. 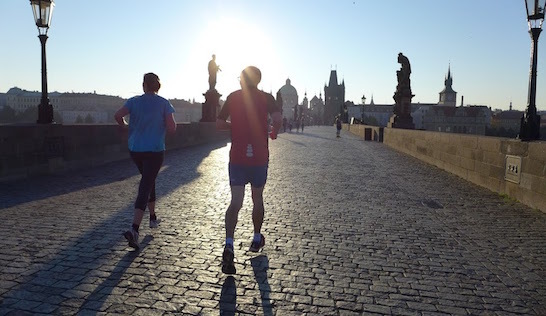 Prague’s temperate weather lends itself to running year-round. The majority of hotels in Prague are focused near Old Town and the city, which is great for sightseeing. All of the routes can be accessed directly from your hotel with the exception of the Brevnov and Stromovka routes, which are easily accessible via public transport. If staying outside Old Town, try to be near the metro or other transport option, in order to access the best running routes. 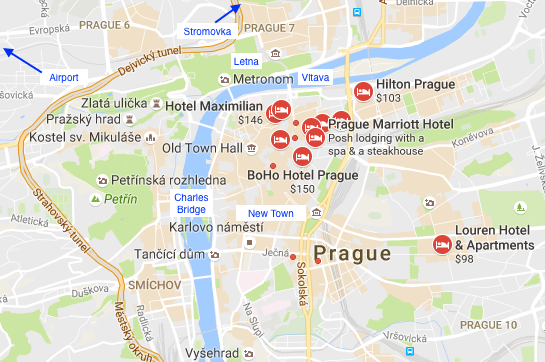 Prague’s extensive public transit network, even if you are staying outside Old Town you will not have trouble getting to the starting point of your routes. Please see our map for store locations. Green icons have group runs. 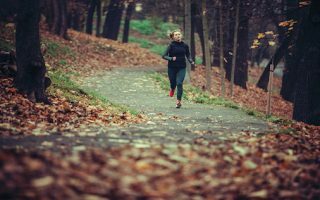 Click on it for location, directions, details on group runs. One unique feature of the Prague running scene is the Running Mall. Located between Letna and Stromovka parks, this is a center for Prague running: store, training center, lounge, run club, classes. Trailpoint Specialize in functional, low-profile running shoes. LBS Sport Local sporting goods store. Triexpert Multiple Locations. Caters to all your triathlon needs. Top 4 Running. Running specific store. Hosts #RUNJINAK, a group run, once a month. Registration is required see website for schedule and details. Prague has some great running events. Volkswagen Prague Marathon May. Marathon and Relay. Prague Grand Prix 2017 September. Individual 10K and 5K races as well as Team 3 x 10K and 3 x 5K races.